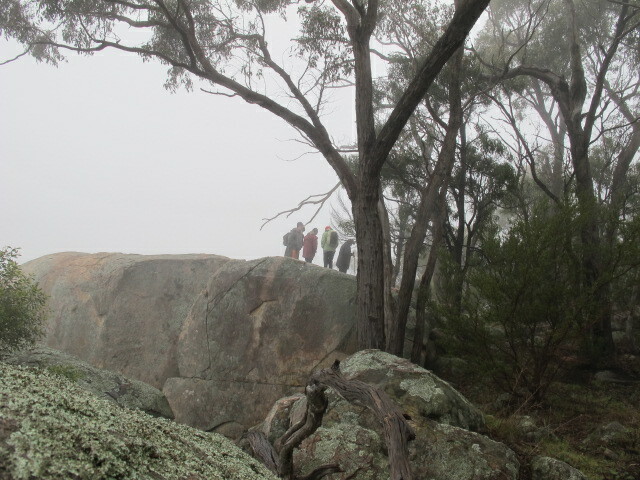 On a freezing and foggy Sunday morning a small group of Ruffy Weekend Walkers trooped to the top of the ‘Wool Pack Rocks’ in the Big Hill Nature Conservation Reserve at Old Longwood. Occassional glimpses of the intensive horse studs below were seen through the fog but no views of the Longwood Plains or the Ruffy Hills were visible. The Big Hill Conservation reserve covers 62 ha and links to important large patches of private remnant bushland along the Winding Creek and up to the Gap Rd and Panorama Drive , Longwood East. This reserve is easily accessed from the Old Hume Highway about 1 km beyond the Longwood to Ruffy turnoff . ( Past the impressive Old Tubbs Homestead) Climb over the fence and follow an old track up hill. Highlights : Falcons nesting on a ledge below the cliff-line . 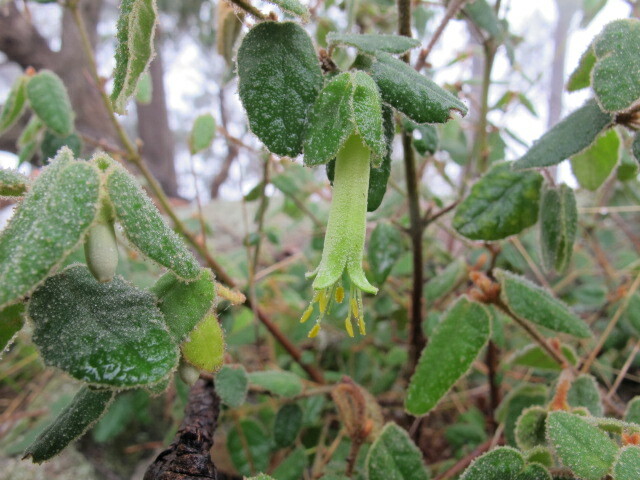 Healthy clumps of Correa reflexa , native fuchsia growing amongst the rocky outcrops. Regenerating Acacia Penninervis which is the locally endemic hickory wattle and finding a new population of drooping sheoak to collect seed from. Wedge-leafed Hop bushes on the crest of the hill. Threats: Horehound weed invading the lower slopes of the reserve. The Ruffy Weekend Walkers venture out on the first Sunday of each month. 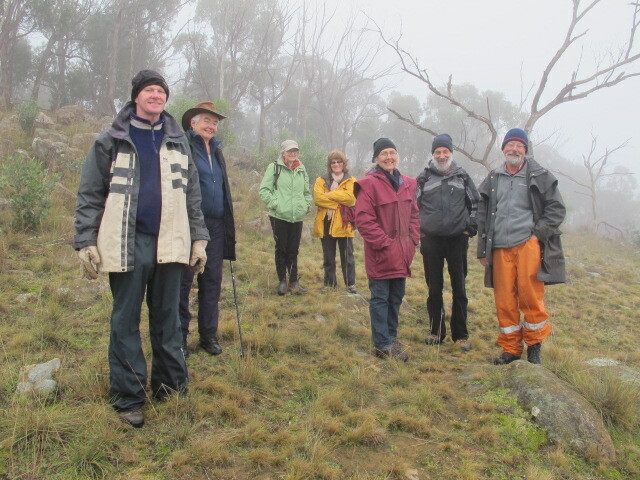 Check the Ruffy Community Website for details of each walk or ring Justus Hagen 57904268. Next Next post: I Spy, Mt Spy – Finally!